Amaechi, who was visibly angry at the allegation levelled against his wife by Wike, also described his successor as a thug who could hardly speak good English. “Even as minister, nobody will have such because it is not a family business. It is government business. But the problem with Nyesom Wike, and I want you to state this, if he doesn’t shut up his mouth and do his work I will bring his wife to the focus. You see I’ve been very mature not to talk about his wife. 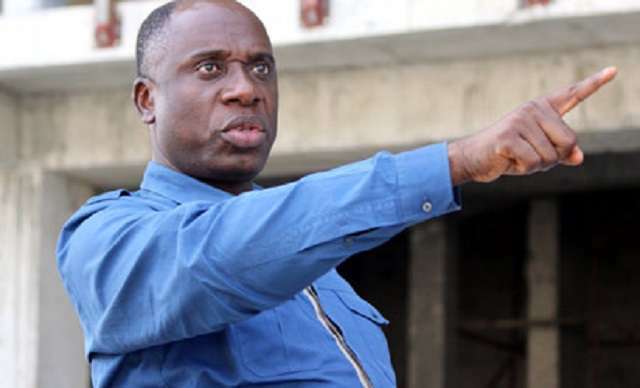 When asked why he was also accused of squandering over N30bn belonging to Rivers State, Amaechi said, “And you believe that? The man, who says he has about $50m in Lagos and could not prove it, is the same man you believe? The man who said I didn’t pay salaries until I left office and now he is saying no, it is pensioners that I didn’t pay. Do you believe such a man? On the decision of the Rivers State Government to handle some of the allegations levelled against him in court, the transportation minister declared that his team was not given fair hearing by the panel set up in the state. Amaechi said, “Which court? Okay, let him go to court. He has no fact and he maligns people’s character. The process is that, you set up a tribunal, but we’ve questioned the tribunal, we were not given a fair hearing.